This lovely cottage is located within the grounds of PGA National Spa & Resort, one of the most prestigious communities in Palm Beach Gardens. This updated 2 bedroom 2 bath unit includes flat screen televisions in the living room & master bedroom suite as well as wi-fi & cable for your enjoyment. The community has 500 acres of nature, endless walking & biking paths, recreation area for picnics and a child's play ground. The Cottage also has a community pool within walking distance. 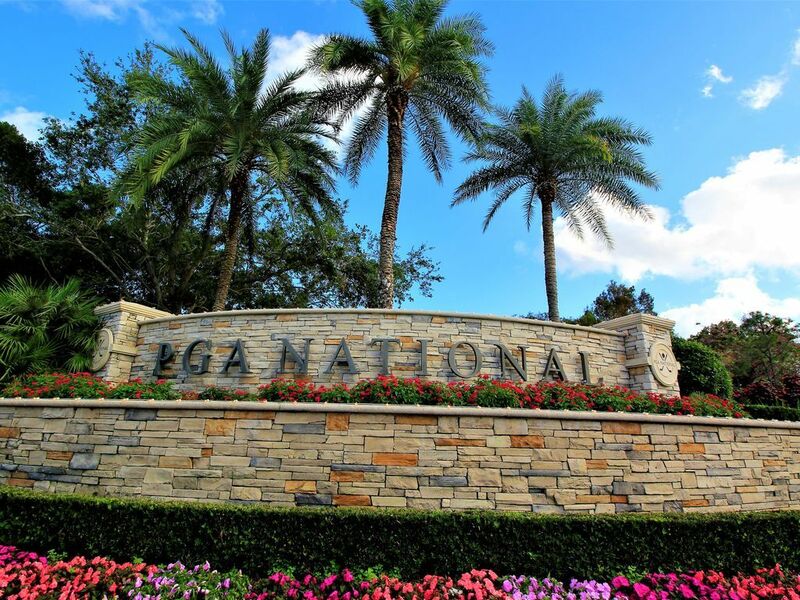 Beyond the pool & over the bridge you will find the PGA National Resort & Spa. Guests are welcome to enjoy use of the resort restaurants, market, gift shop and the SPA facility. Outside the community you'll discover restaurant row, The Gardens Mall, downtown, Jupiter & Juno beaches and much more for your enjoyment. I relocated from Southern Californian to Florida in 2005 because the roads travelled were less congested & the water & tropical surroundings intrigued me. I also love to travel so living in Florida make spur of the moment getaways perfect! I wanted to diversify my investments by having a vacation rental. In this way I've always got another place to relax away from home & the opportunity to interact with vacation renters from all over the world. Spacious living room with armoire, flat screen television, queen size sofa bed, matching chair, ottoman, coffee table, end tables with area rug. This is a clean and well-supplied property. The master bedroom matress is very comfortable. Be aware that the dishwasher doesn’t work very well, but this was not a major issue for us. Also, the patio screen needs maintenance. Overall, we enjoyed our stay and would rent again. Glad you enjoyed your stay and I look forward to your return. I was not made aware of any needed repairs in your unit during your stay but will definitely address the concerns you mentioned. Clean and well appointed. Owner very responsive. Thanks so much for your review, I'm glad you enjoyed your stay and that you had a safe journey home. Hope you think of me should you return to PGA in the future.